allows students the opportunity to evaluate the mathematical thinking of others and either agree or disagree with the person’s response. 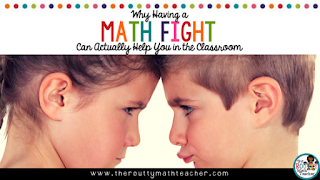 What I love about this strategy is that students do not just solve the problem, they must select a correct, or incorrect, response and provide a justification for the thinking of another. See the example above.